While the magnitude of risk from exposure to low doses of ionizing radiation is currently a topic of debate, there is no doubt that radiation risk is greater for children compared to adults. FluoroSafety has recently published our newest course, Maximizing Benefit While Minimizing Risk in Computed Tomography (CT). This course is designed to help physicians who order CT exams develop a balanced perspective on benefit and risk for CT imaging. This course was written by board certified radiologists and medical physicists, and reviews the most up-to-date evidence and data. 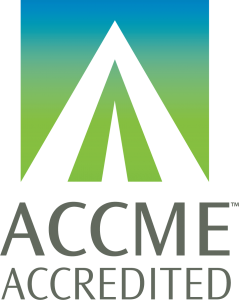 Thanks to a collaboration between the Accreditation Council for Continuing Medical Education (ACCME) and the American Board of Pediatrics (ABP), FluoroSafety is proud to offer MOC credit for the ABP for this course. Successful completion of this CME activity, which includes participation in the activity, with individual assessment of the participant and feedback to the participant, enables the participant to earn 2.0 MOC points in the American Board of Pediatrics’ (ABP) Maintenance of Certification (MOC) program. It is the CME activity provider’s responsibility to submit participant completion information to ACCME for the purpose of granting ABP MOC credit. All FluoroSafety training programs can be accessed and completed at your convenience from any computer or tablet with Internet access. You can print your CME certificate immediately after you complete this course, and FluoroSafety will report your MOC credit directly to the ABP. 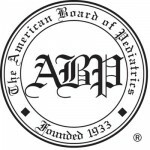 Please contact the ABP directly for questions about your MOC record. Please note that all sales are final. FluoroSafety offers discounts for purchases of multiple licenses and enterprise solutions for hospitals, ASCs, and group practices. Click here for more information.